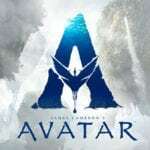 Starring Oleg Ivenko, Ralph Fiennes, Adèle Exarchopoulos, Louis Hofmann, Chulpan Khamatova, Sergei Polunin, Raphaël Personnaz, Aleksey Morozov, Nebojsa Dugalic, Anna Urban and Anastasiya Meskova. The White Crow is a well-crafted piece, from writer David Hare and director Ralph Fiennes, about Rudolf Nureyev’s early days – pre-international stardom – and the lead up to his defection from the Soviet Union in 1961. Based on the biography by Julie Kavanagh, this is a story with which younger audiences might not be so familiar. 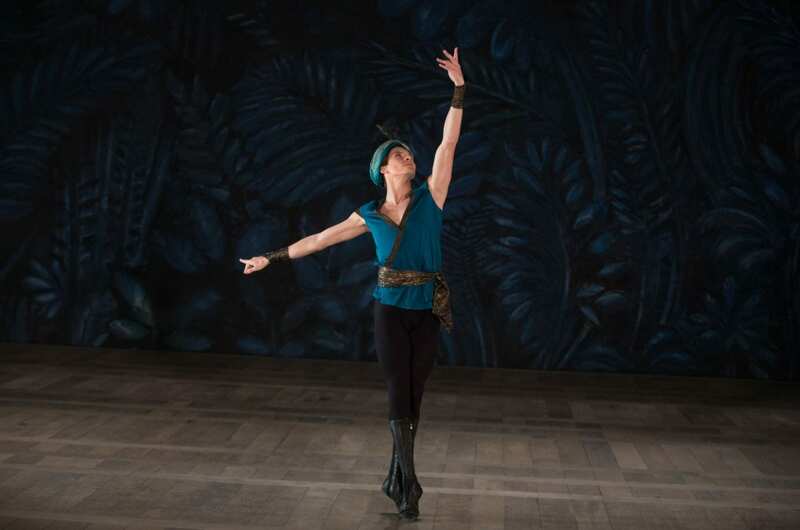 Focusing on a young Nureyev battling his way into the upper echelons of the ballet world, the film spends time exploring Nureyev’s position as an outsider – both to dance and then the West – as well as his yearning for freedom of expression. 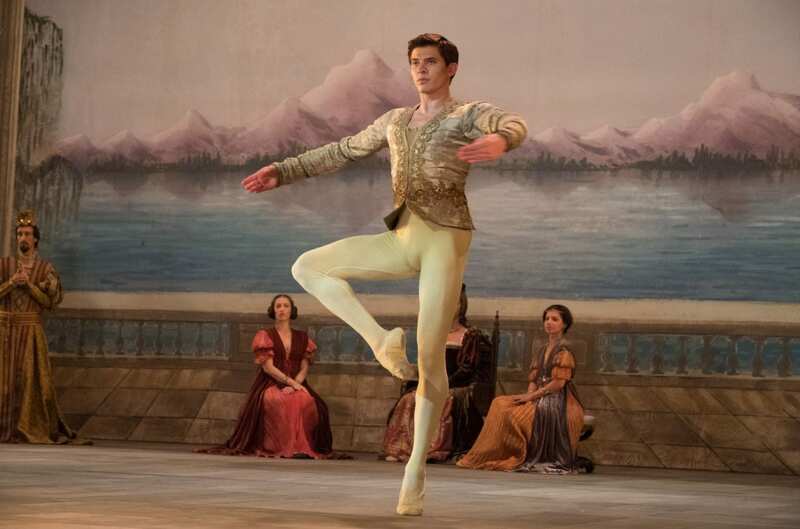 Real-life professional ballet dancer and screen newcomer Oleg Ivenko turns in a striking debut performance as Rudolf Nureyev, as well as holding a decent-enough physical resemblance to him. Unsurprisingly he truly soars (sometimes literally) in the dancing segments, although it must be quite a burden to shed your own training in order to capture the spirit of a legend such as Nureyev, as well as the less technically perfect aspects of his dancing (Nureyev’s training was condensed as he started later than most). Ivenko also does well channelling the intensity, iron will and self-belief of Nureyev, with a few humorous touches stemming from his natural, casual arrogance (“If I had danced, you would remember”). The White Crow successfully generates sympathy for Nureyev too, particularly when considering his impoverished background and undeniable work ethic. He might be conceited and hot-headed – and rude enough to spit at someone when furious – but he is almost charming with it, and painted a victim of circumstance. One of The White Crow’s greatest strengths is its excellent ensemble cast, almost exclusively compromising of Russian and French talent such as Chulpan Khamatova (Good Bye Lenin!) and Adèle Exarchopoulos (Blue Is the Warmest Colour). It seems unfair to pick one out, but Aleksey Morozov does an admirable job of balancing KGB agent Srizhevsky’s menace and sympathy as a man with unrelenting bosses. 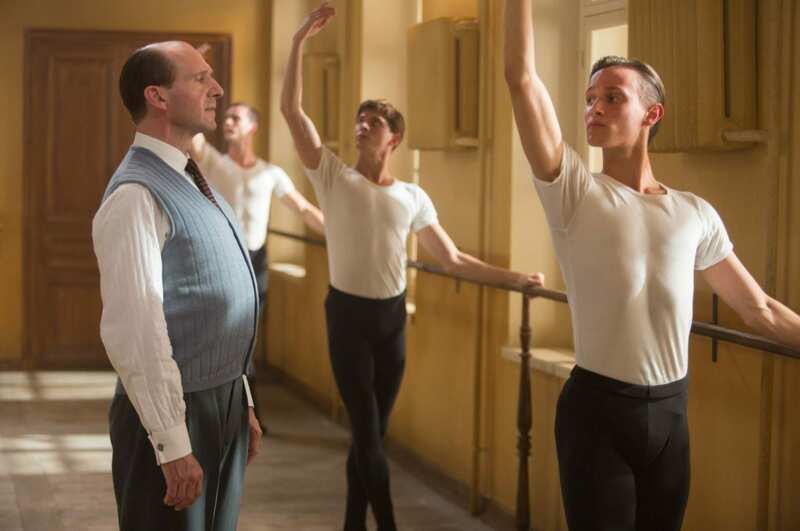 Ralph Fiennes has also set himself a pretty mammoth task – alongside directing this passion project, he takes on the role of Nureyev’s ballet master Pushkin, therefore performing in Russian. Not only does he mould an interesting, layered character for the softy-spoken Pushkin, where you’re never quite sure of his true thoughts or motivations, but none of his acting prowess seems at all compromised by the complex language barrier. 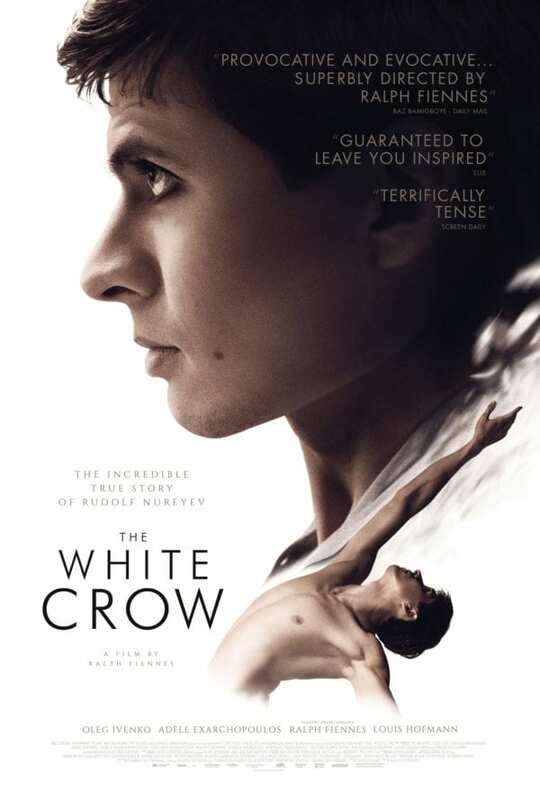 In studying Nureyev before he was famous, and before – unwittingly, as it is here – he was consumed by a political, media-driven storm, The White Crow is able to consider how his peasant background shaped him, as well as how strongly his nationality at birth affected the trajectory of his career. The screenplay flits between his early childhood days in Ufa, training in (what was) Leningrad and his 1961 tour to Paris with the Kirov Ballet company (now the Mariinsky). Writer Hare won’t spoon feed the audience, so concentration is required, but all plot strands neatly weave together for full context before the film’s quite thrilling climax at Le Bourget Airport. The White Crow is well-contextualised by both its writing and design. The period detail of the Soviet Union and Paris is impressively captured in both setting and mood. That this tour to Paris is ground-breaking in relations between the USSR and the West during the Cold War is judiciously emphasised by the film, as well as the pressure it therefore put on the dancers. Unsurprisingly, there’s also a fabulous thread of ballet classics to be seen, heard and admired as Ivenko and the company re-create some of Nureyev and the Kirov Ballet’s famous moments. Although Rudolf Nureyev is is no way unexplored or unknown in popular culture, The White Crow presents a fresh take on his formative years, before he became his legend, in a nuanced, informative and gripping film.